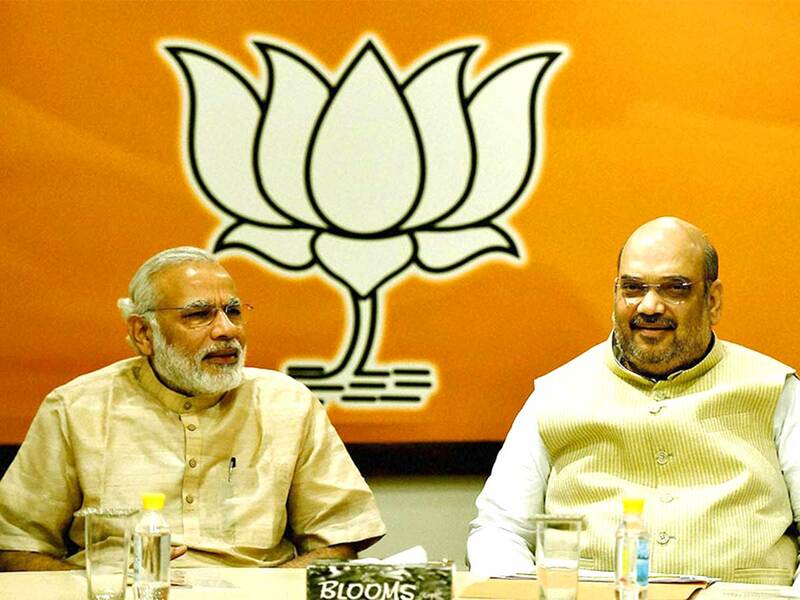 Joint founders of the Bharatiya Janata Party (BJP) and the second and third president of the party, L.K. 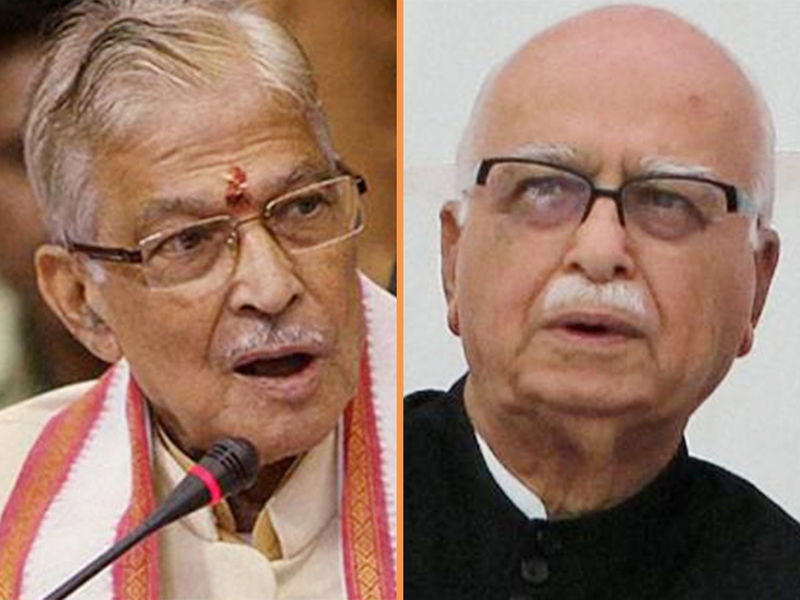 Advani and Murli Manohar Joshi, in reality could never stand each other. Yet today, due the machinations of Narendra Modi and Amit Shah they find themselves in the same boat – first relegated to the toothless old age home of the Margdarshak Mandal (which has not even met once) and now pariahs denied party tickets sans even elementary courtesy. While Advani told the BJP that he did not want to fight, Joshi, the sitting Member of Parliament from Kanpur after he vacated Varanasi in 2014 for Modi, exposed the party by writing a note to the voters of Kanpur that the BJP asked him not to contest. Both the septuagenarian leaders felt disrespected and hurt that Shah did not bother to even come and request them personally. Instead, he sent along a “messenger” Ram Lal, the organisation’s general secretary, to deliver the message. Currently, the two are maintaining a deathly silence but, still waters run deep and the unlikely allies will react sooner rather than later. The leaders provide an insight into the ruthless nature of politics in India. Advani, the original Rath Yatri, blazed a trail of blood across India, which eventually led to the destruction of the Babri Masjid and unleashed a virulent communal genie, which cannot be put back in the bottle. Both the leaders provide an insight into the ruthless nature of politics in India. Advani, the original Rath Yatri, blazed a trail of blood across India, which eventually led to the destruction of the Babri Masjid and unleashed a virulent communal genie, which cannot be put back in the bottle. Wringing his hands almost like Lady Macbeth, a characteristic trait, Advani must be ruing the day he nourished his protégés, the so-called second generation of BJP such as Modi, Arun Jaitley, Venkaiah Naidu and Sushma Swaraj, who serially betrayed him. Former prime minister, Atal Behari Vajpayee wanted to sack Modi for the 2002 Gujarat riots and later blamed him for the BJP’s loss in the general elections. Advani intervened and saved Modi, a decision he probably rues every day. Modi never looked back. The “Raj Dharma” (duty of the rulers) that Atalji tried to teach him was never implemented. In the case of Joshi, a Sangh favourite and a physics professor from Allahabad University, Modi first snatched away his constituency. When the Sangh wanted him to be made President of India, Modi baulked and refused, preferring Ram Nath Kovind who was not even a swayamsevak (RSS initiate). In the case of Joshi, a Sangh favourite and a physics professor from Allahabad University, Modi first snatched away his constituency. When the Sangh wanted him to be made President of India, Modi baulked and refused. The RSS wanted to send a message that it had occupied the house on top of Raisina hill after having been banned thrice. Yet, Modi refused to play ball. A spurned Joshi, chairman of the Estimates Committee of Parliament, then authored a series of brilliantly researched reports on the clean Ganga project, Swach Bharat, Raghuram Rajan’s list of NPA’s and defence preparedness, which embarrassed and exposed the Modi government. Joshi was merely performing his duties to democracy and parliament, but Modi, who has no time for democratic niceties, took umbrage. Joshi earlier felt that Advani had ensured the sabotage of his term as president by using his protégés, particularly Jaitley to plant anti-Joshi stories. Ironically, Modi was Joshi’s “sarthi” (driver) in his Ekta Yatra, where he hoisted the tricolour in Lal Chokh in Srinagar. Yet in line with Modi’s nature, he later gave speeches about how he hoisted the flag. Modi did not even mention Joshi and re-wrote even Sangh history. Both the architects of terms such as “pseudo secular” and “minority appeasement” appear gentle and harmless when compared to Modi and Shah, but they arguably paved the way for them. Even the Sangh seems to have left both the long time Sangh veterans to stew in their plight - friendless and alone. Perhaps, it is also a reflection on the kind of divisive politics practised by the BJP since its inception. Like a virus, it is much more virulent now. While, some leaders of the Opposition say that karma has caught up with the two, others say that the disgraceful way they were treated will ensure that Modi and Shah eventually face the same. As Shah, who is contesting Gandhinagar in place of Advani, is hailed as his heir, Advani must be squirming. It could be a re-run of one of his favourite films Godfather. Joshi is still feisty and seems to be working on a plan to embarrass the duo. The RSS is frantically trying to persuade him not to go ahead. The long-held view is that the kind of politics you practise eventually catches up with you. Clear warning to Modi, but he is unlikely to pay heed to Cassandra.